Snow White is a 1916 American silent romantic fantasy film directed by J. Searle Dawley. 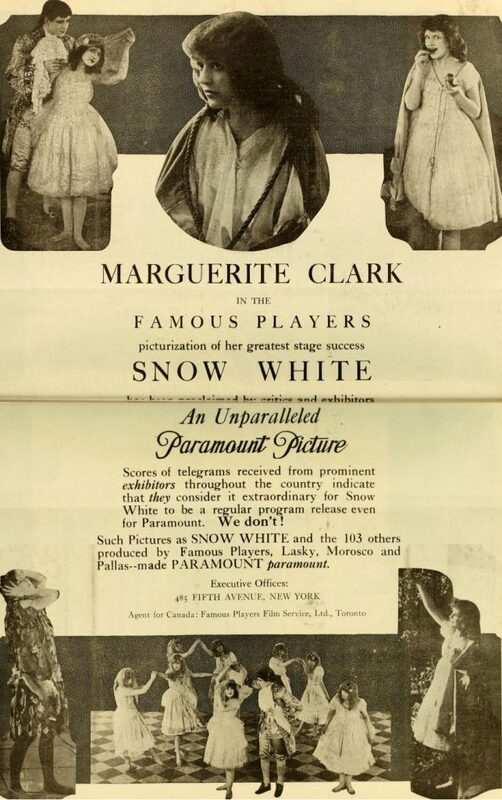 It was adapted by Winthrop Ames from his own 1912 Broadway play Snow White and the Seven Dwarfs, which was in turn adapted from the 1812 fairy tale (as collected by the Grimm brothers). The film stars Marguerite Clark and Creighton Hale, Clark reprising her stage role. Fifteen years old when he saw it, Walt Disney was inspired to make it the subject of his first feature-length animated film.